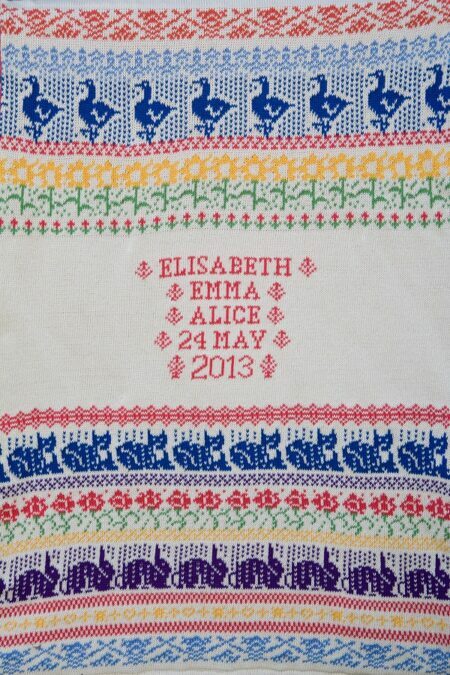 This personalised baby blanket would make a colourful and personal addition to a new baby’s nursery. 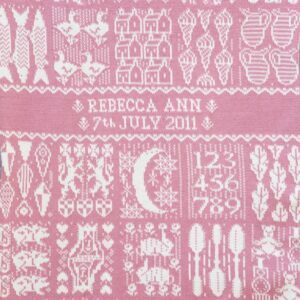 The Animals & Flowers blanket is inspired by Victorian samplers and features geese, flowers, cats and rabbits. 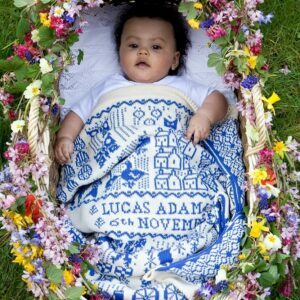 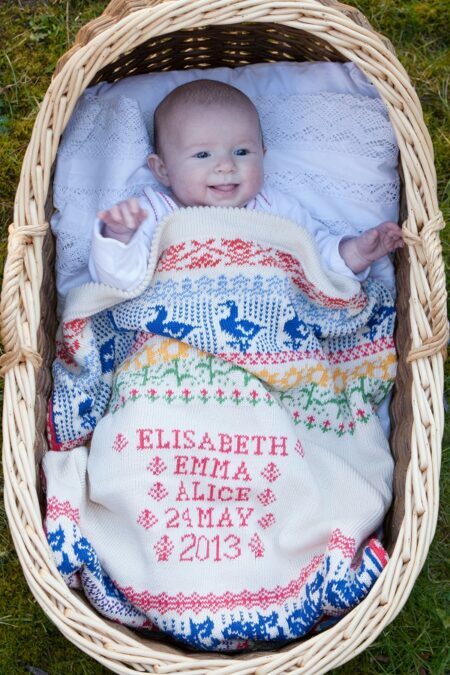 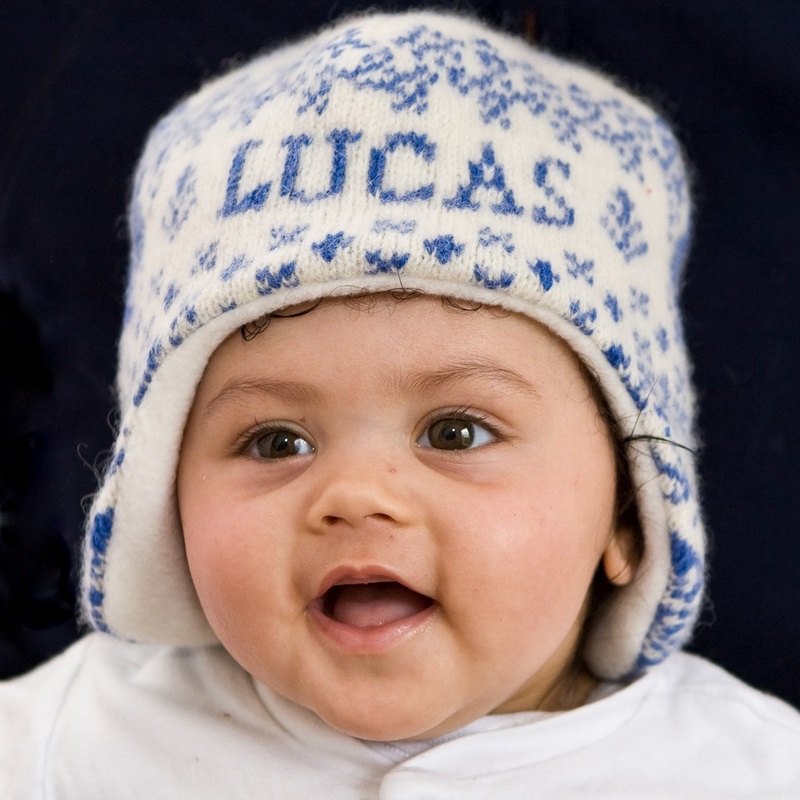 Each blanket is individually made and personalised with the baby’s name and date of birth. 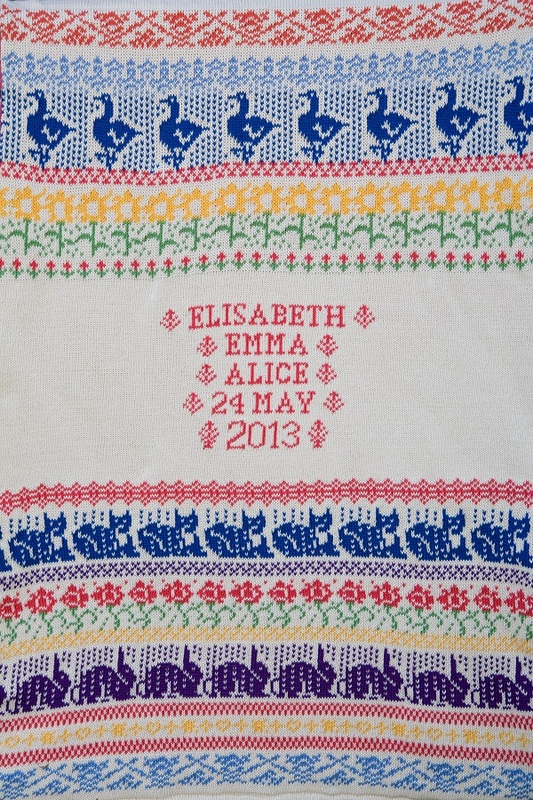 The Animals & Flowers NORWICH blanket is knitted in bright shades of purple, blue, tulip, yellow and green on a cream background. 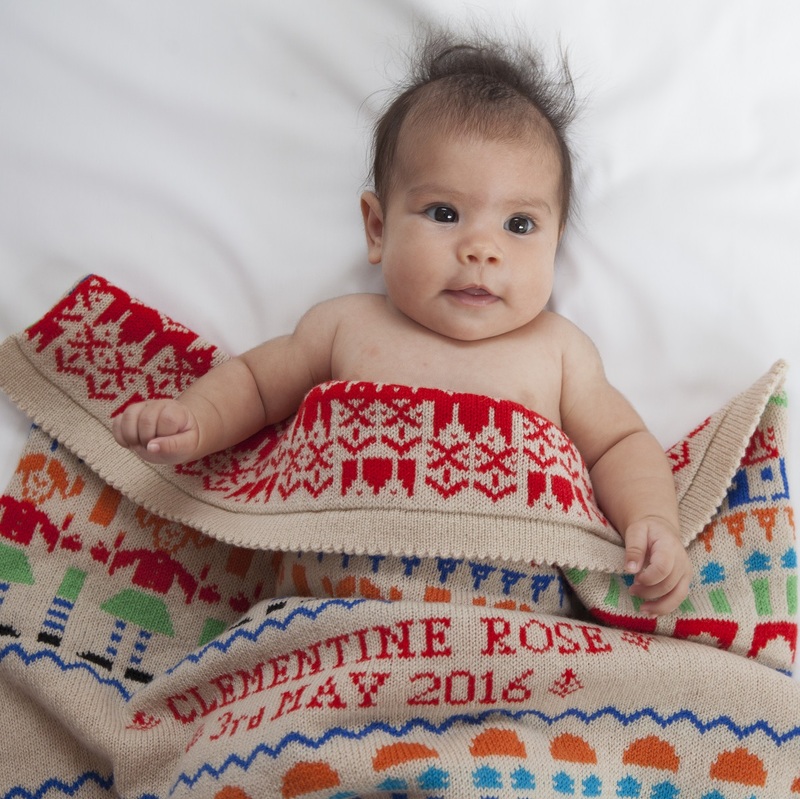 The blankets are made from two layers of knitted cotton and have a different, complimentary design on the back in tulip and cream. 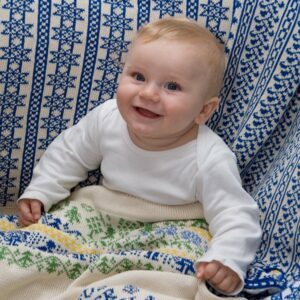 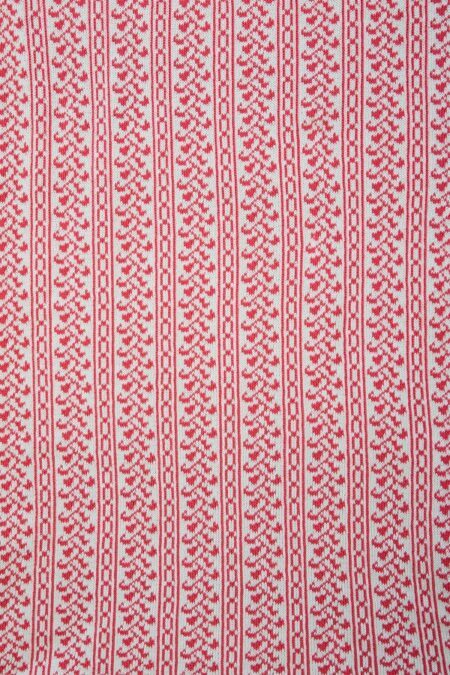 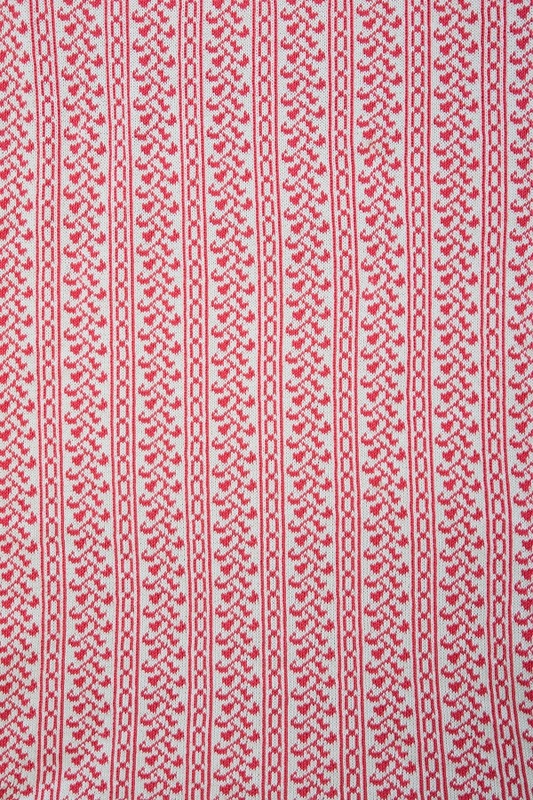 The cot size blanket is quilted with a fine layer of cotton wadding. 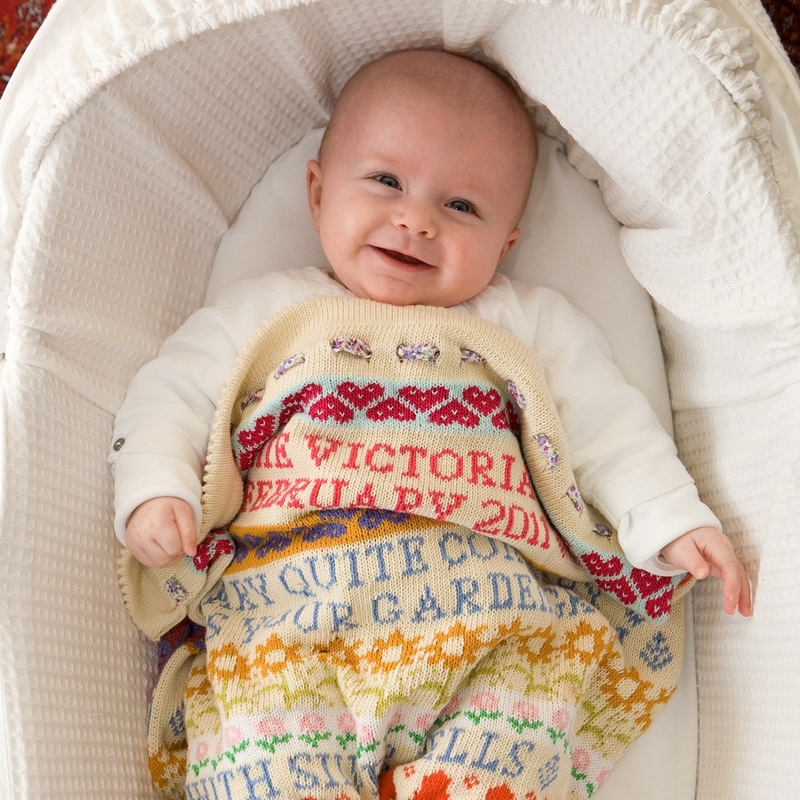 Each blanket comes beautifully wrapped in a handmade muslin bag, tied with ribbon – perfect for giving as a unique and useful gift to celebrate the arrival of a new baby. 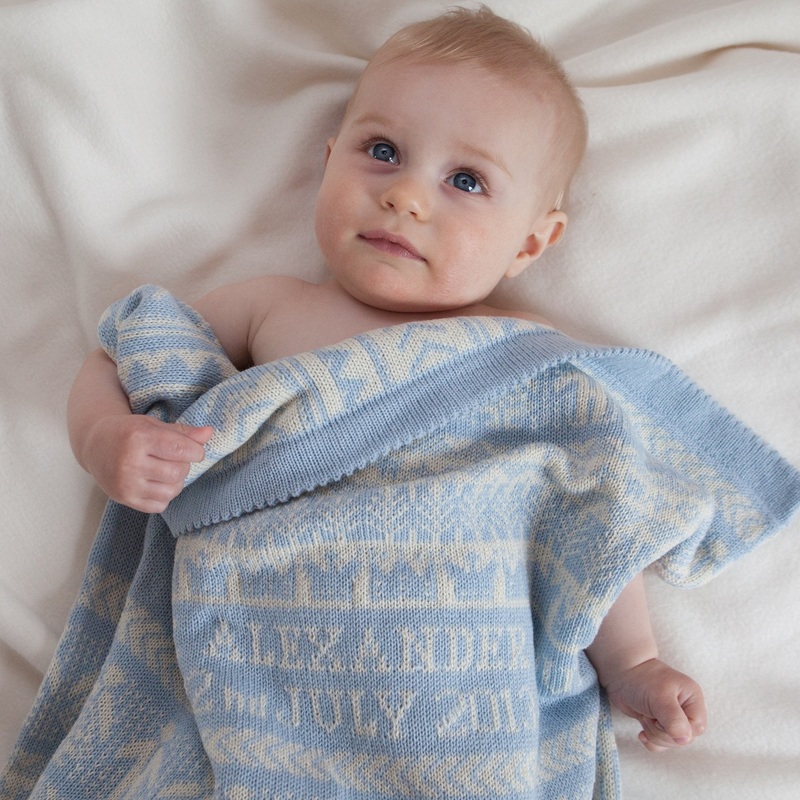 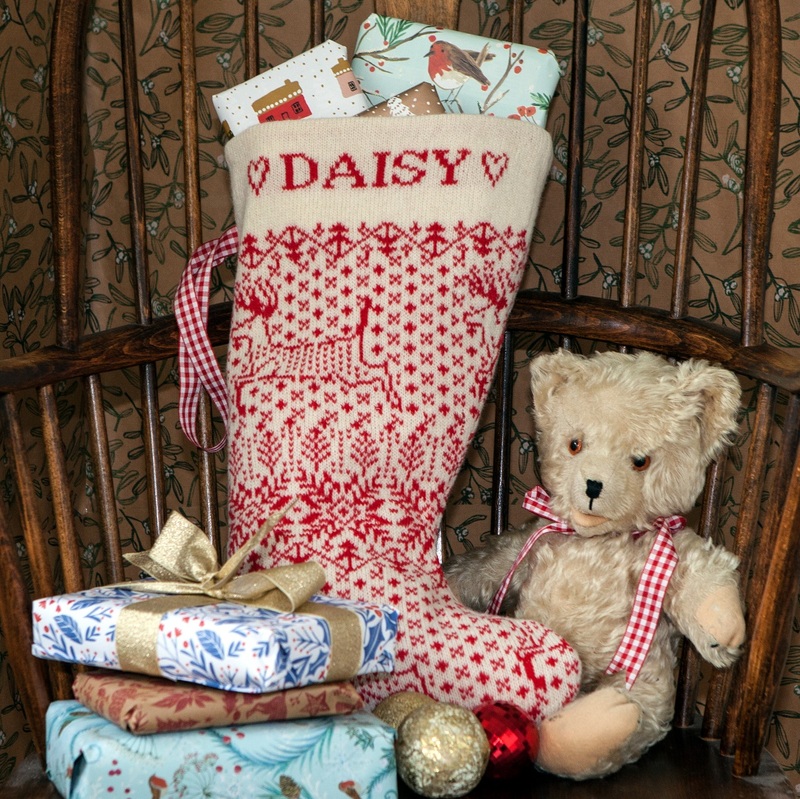 We can send the blanket directly to the recipient if required, and include a card with your message at no extra cost.